Q: So then you go to the other side of the ball with Milt Tenopir and Dan Young on offense. How did that switch go physically, mentally, emotionally? Bill Humphrey: Well, I think it was a really easy switch for me. Maybe I should have been an offensive lineman the whole time. And the thing about it, we were obviously running the option, and I went in there with the mentality of a defensive lineman playing offensive line. And back then we leaned forward in our stance -if you watch Georgia Tech nowadays? I like to watch the offensive linemen, and their asses are above their shoulders, coming off and springing off of the line of scrimmage- and that’s what we did. Q: That’s funny you say that, Bill. I watch those guys and just lick my chops, thinking back to you guys. So it was just as intense, but in a different way? BH: I think on the offensive side we took the approach that we were smart, we were athletic, and we were tough. We didn’t get over-enthused, whereas on defense you played with a little more wild approach, wild abandon. The offensive side? It was more like a quiet confidence. Q: But still mean as all hell? Q: Remember Kelvin Clark? Were you around when he was a strength coach? I remember he was once a defensive lineman before they switched him over to offense, too. I recall someone saying that often the best offensive linemen are converted defensive linemen. Would you agree that helps in some sense? BH: I would. I would. Q: So tell me about Milt and Dan. BH: Well, Milt was just a very detailed guy. We would go again and again on making the right steps, and if you weren’t in the right place making the right steps you’d do it over. And over. And again, he always led or coached with belief in us. And Dan? God love him. I’ve talked to Dan Young a few times in the past few years and to this day he’s the same guy. Dan was another guy that would not mince words. I don’t really know how to pigeon-hole Dan, it’s just that I enjoyed playing for him. He also had a lot of characteristics that were kind of quirky, but did a good job and you appreciated the obvious work that he put into making us better. Q: Do you recall any memorable quotes from those? Anything stick out in your mind? BH: What sticks out in my mind was the way Dan talked, kind of that low, gruff, “You’ve got to be better. 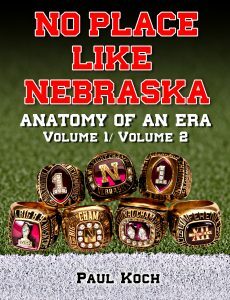 You’re not doing it right, now.” Dan, when he’d coach us in the passing plays, he always kind of looked down at his thumbnail when he talked. It was like he looked down at his thumbnail and concentrated on it as his key. We were always, “What the hell is he looking at! ?” (laughs) And I asked him once about it and he wasn’t even cognizant that he was doing it. I always wanted an explanation on why he would do that. Q: Now you have me staring at my thumbnail, Bill. (laughs) So what do you think set the teams you were on apart from the other teams you guys played? BH: From the offensive line’s side I would say that we always fired off the ball. We always wanted to be more physical than anybody. And I think we were always more athletic. We had big guys, but they could all run and there wasn’t a guy that was a soft guy. All very agile players. Q: It wasn’t the weight that mattered, it was how that weight moved? BH: As a nose guard I played in some games. I lettered as a nose guard. I guess my first memory is playing Oklahoma State, and I believe it was a televised game and we were up big by halftime and I sacked a quarterback and broke his arm. I caused a fumble and I believe Donta Jones recovered the fumble. Q: So what was your favorite game you played in? BH: I would say that it was probably Colorado at home in ’94 when we shellacked ’em. That was probably my favorite game other than the championship game. Q: Why was that Colorado game your favorite game? BH: Well, I think it was because I played a real good game. They had a real strong nose guard, Aaron and I took care of him, and the whole offensive line blasted their defensive line. And obviously the most rewarding game was the championship game against Miami. Q: You guys rotated quite a bit in that game, didn’t you? BH: Yeah, we did. Aaron pretty much played most of the fourth quarter. I wasn’t in on any of the scores, but we handled Sapp and wore him down. Everyone always talked about how you couldn’t see them on their knees if you were watching on television, but during the game they were down on their knees during the commercial breaks sucking air. It was just like T.O. had prophesied that we were gonna rotate in and wear ‘em down and by the end of the game were gonna have the upper hand. And it happened. Q: I suppose you were probably used to Joel Wilks being on your left and Brenden Stai being to your right all season, then for that game they did the old switcheroo. Did that throw you off in the least bit? BH: You know, not really, because during that season Steve Ott would come in and rotate with Joel Wilks every now and then, so it wasn’t really a weird change. I don’t think we lost much. They both were great players, Wilks and Stai, and that didn’t make a difference to me. As a center, you’re down there making your offensive blocking line calls and you’re listening for the snap count and you want to make a good snap. So you just trust that they made the right decisions moving guys around. In fact, I don’t even remember that. Q: And when you’re making line calls -for the layman, what would be the best description of having to do that? What do you have to be concerned about? How would you describe that process? BH: Well, what it’s all about is when they’re showing ‘blitz.’ If you’re lined up strong to the right and they’re starting to show blitz left, you need to switch your blocking from a step to the right for a play action pass right and you need to keep a back in and come back left. That’s pretty much what I think you’re doing. So, as a center, you’re reading the linebacker stepping up or a strong safety or whatever comes up to the line, but when it got to so where you were feeling the blitz and you’re weak to one side (especially if it’s the blind side of the quarterback), you’re going to make the call to keep a guy in and block back on it. Physically, it’s just the opposite. If you were going right, it’s a “left” call. That’s what it was in most cases, but sometimes it was a number call. But if your play was a rollout right pass or play action right, then once you read a blitz coming you would call “Left”, and they would keep a tight end in and everyone blocked back left. BH: Yeah, but it’s practice, it’s repetition. You’ve got to know what you’ve got to do. Q: Any practice stories come to mind? BH: Well, my favorite practice stories were always when the offensive line and defensive line did one-on-ones down in the pit in the north Fieldhouse. That’s when there was always a lot of bravado and testosterone pumping, yeah. There was always a good ‘Charlie blowup’ on some defensive lineman who wasn’t getting it done. Q: What would this ‘blowup’ entail? Q: Calling his manhood into question? BH: Yeah, that’s for sure. And Charlie chewed. His fingers were stained with Copenhagen tobacco. When I was on the defensive line I can remember one time we put in some weird defense. It was called “Goo.” Well, I had a class that ran into practice time and I would show up on Tuesdays about 15 minutes late to practice, so I missed the meeting when they’d just put this Goo defense in. And typically the linebacker would call ‘strong right’ or ‘strong left’ and that’s the way the defensive line would shift. Well, with the Goo, the defensive line would shift opposite to the call… I hadn’t heard at all about this. So we line up: the backer calls ‘strong right’ and I shift right, and Charlie blew up on me. I was so confused, and he chimes in with his stained tobacco finger and digs it into my left eye and says, “Don’t you know your damn left from your right?” Of course, I just went with the shift when it was called left or right, but then somebody explained it to me later and I knew then what to do. Q: Any funny or memorable off-field occurrences from those days? BH: I don’t know how many are funny, but there was a new apartment complex not far from the stadium called Claremont Apartments, and several of us moved into that apartment complex. And, unfortunately, that was the same year of ‘the baseball fight’, something which led to a lot of us getting together after seeing some of our brothers being beat up. In fact, two of the guys I was living with there got kicked off the team. I wasn’t part of the ‘baseball fight,’ but they were. Guys make mistakes. The guys went back and pummeled the baseball team, unfortunately. Q: I forgot about that. Do you recall what the heck that was about? BH: I think the story that I got was that them and another guy, some walk-on from Norfolk, they had been over to the baseball party but were not drinking. They were there and not drinking but were asked to pay for some beer and they refused, so they got beat up. They came back to the apartment and ran into BulletHead, and he and another guy went back and there was another skirmish. And by the time they came back to the apartments a second time, that’s when quite a few guys went back over there and rolled some people. 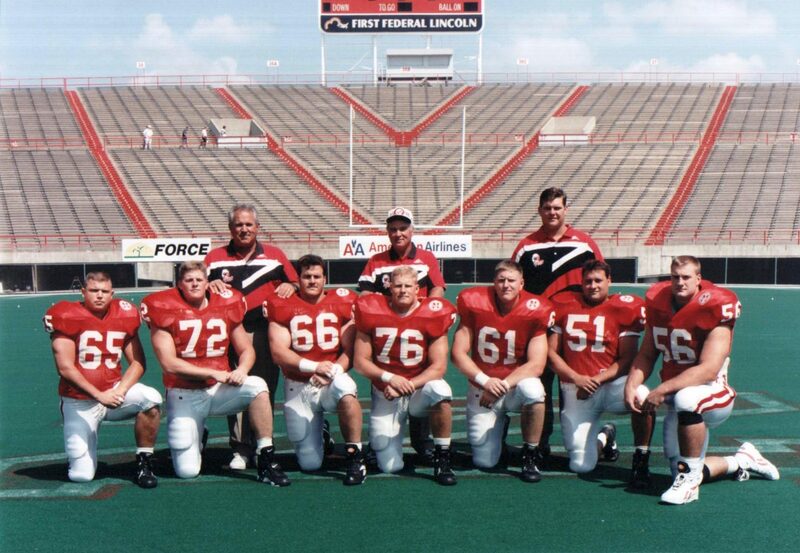 I think there were a few guys held out of spring ball that year. That one was pretty big: there were a few people that ended up in the hospital. Not for long stays, but for CAT scans and things of that nature. Q: So what motivated you? What pushed you to keep banging heads every day, year after year? BH: It never took much motivation for me. I loved football and I loved practice. I loved to hit people -and that always sounds weird in a sadistic kind of way – but I liked the competitiveness, whether it was a practice or a game, of knocking heads. I enjoyed practice. I loved football and still do. 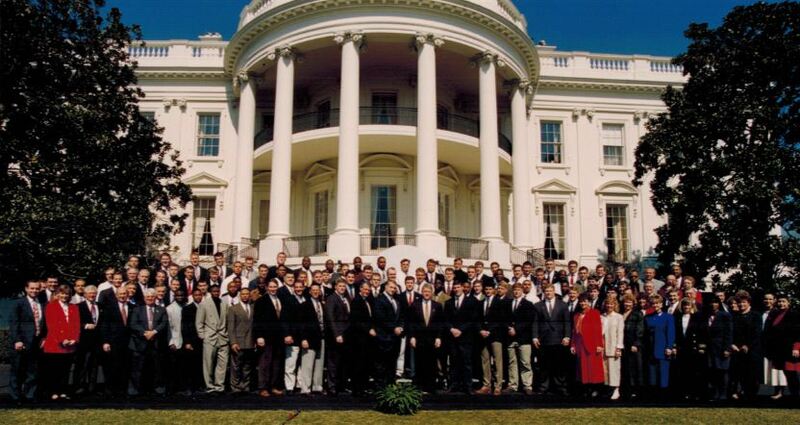 I didn’t play pro football, but I played rugby for a number of years after college football. Q: Did you enjoy that? BH: Oh yeah, I played. I liked it in Europe and enjoyed the camaraderie of it. That helped satisfy what was gone after football. Q: I’m not sure if you recall, but Jake Young, former Nebraska All-American center played rugby after college ball and was in Thailand for a rugby tournament in Bali when they had that bombing. He was killed in that bombing. BH: I can remember a photo of him helping tear down a goalpost after a big win one home game. 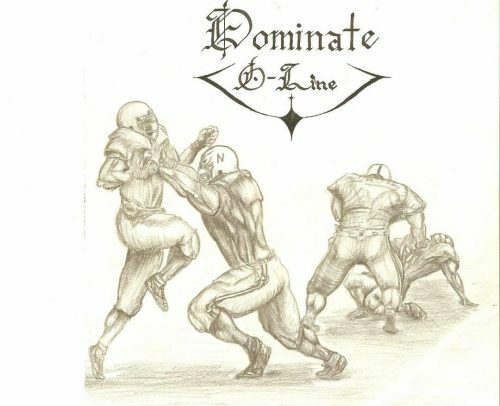 Q: Speaking of pictures, Brenden Stai was kind enough to forward me a picture that Mike VanCleave had drawn up and hung in Coach Tenopir’s office, the ‘Dominate O-line” picture. Do you remember that? BH: I remember VanCleave was a very good artist. Q: What about the rest of the team, what do you think motivated them? Was it that we had a chip on our shoulder? BH: Oh yeah, you always heard we were slow and that teams from the Midwest or the north weren’t as fast as the Florida teams. And of course, what motivated us the ’94 year was the ‘Unfinished Business’, where we always had the minute-sixteen on the clock. It was that, and the motivation was to be national champions, to win them all. Q: To get that ring? BH: That’s right. To me it’s not just about the hardware, it’s about playing your best. And we knew if we worked hard and we played the best we could that no one was going to beat us.